Rolatape specializes in the manufacturing of quality distance measuring wheels. Founded in 1950 by Donald Woolard, Rolatape introduced to the world the first modern measuring wheels. The well-known company is dedicated to providing quality distance measuring wheels - for both commercial and residential measuring applications. 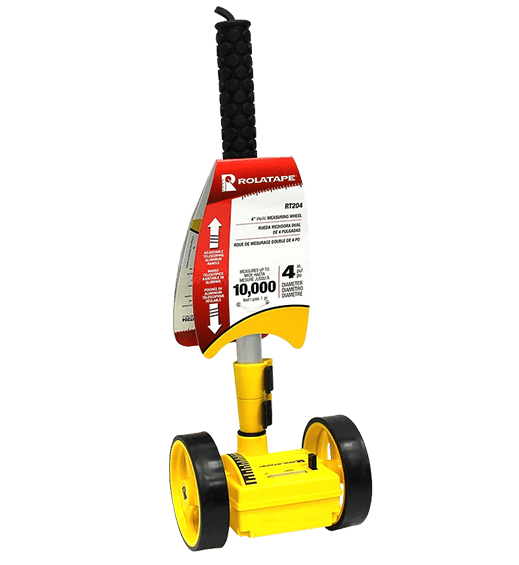 Rolatape has the right wheel for professional jobs and needs - small wheels for simple indoor measuring to large diameter wheels that handle the roughest outdoor terrain. Professionals in many fields count on the Rolatape Professional Series to provide reliable measuring under the toughest conditions. Featuring all steel construction, a 5-digit ratchet counter, calibrated wide rubber tire and safety-glo powder coating, the Professional Series has set the standard for quality, accuracy and dependability since 1950. Then there is the RT Series which provides reliable measuring for both the needs of professionals and homeowners alike. 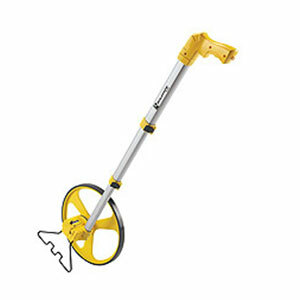 For use on counter tops to sidewalks, construction sites and rough terrain.